Stacy was born in Greenville, NC, but spent most of his life growing up in Goldsboro, NC. He and his wife, Jamie, have been at Cornerstone since 2002. Stacy grew up in a Christian home but didn't accept Christ until his freshman year of college. He met Jamie while working at a Christian camp thereafter. The two were married in 2001, and moved to Virginia Beach shortly after. Stacy and Jamie have two children, Nathaniel and Hannah, and one dog, Dixie, who thinks she's one of their children. Through my time as a pastor, I have developed a passion for helping other pastors, believers, and churches understand and rightly develop sound strategies for handling personal finance issues. I believe that my ten years of study on and experience with this subject can be a blessing to you, as a pastor, or to your church. My mission is to bless pastors and churches by writing, providing counsel, and speaking on this topic as God opens doors. I want both pastors and churches to be as free from financial stress as they can be so that they can focus their time, energy, and resources on the ministry God has given them. I was sitting in my study, working on Sunday’s sermon when the phone rang. It was my wife. She had driven with another lady in our church to go to a Women’s Bible Study and had decided to stop at the bank to get $20 from the ATM. For the very first time in our lives (before or since), we were overdrawn. I had never experienced that feeling before – sickness and dread and fear all mingled together. To this day, I’m not sure what was worse – hearing the fear in her voice as she struggled to hold back the tears or the feeling of fear in my own heart as I was totally blindsided by the news. After four years of Bible college and four years of seminary, I became the lead pastor of a small, six-year-old, church plant in September 2007. Even though the church was struggling in many ways, they wanted to do the best they could to help provide for us financially. They offered us a starting salary of $48,000/year along with full health coverage for our family. The best part was, they said, that our salary would be “tax-free” because I was a pastor. We were so excited! We decided to buy a house based on that information. We set our budget based on that information. In fact, we planned a lot of things based on that information. However, when I got my first monthly paycheck, instead of receiving $4,000, I received $3,388. Something called SECA had taken 15.3% of my expected salary away. 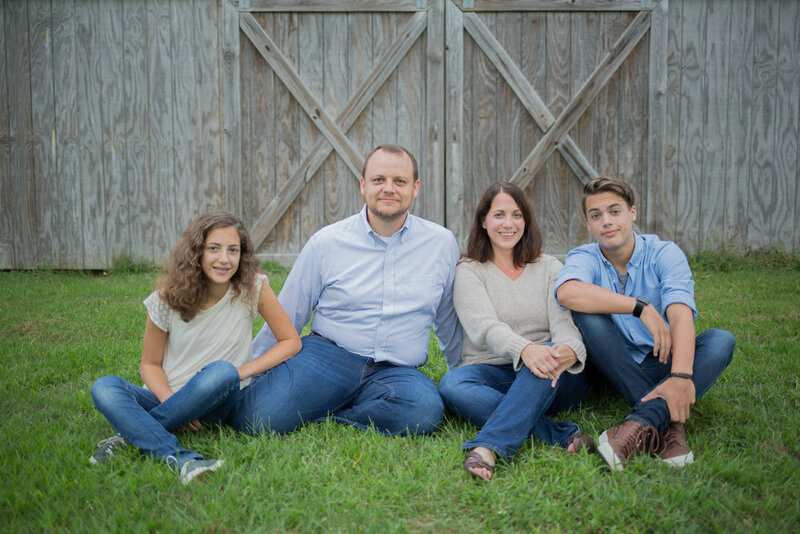 Less than one month into pastoral ministry, our plans, our budget, and our house payment were all in serious jeopardy . . . and there was nothing we could do about it. This is why I decided to write How to Not be a Broke Pastor and Structuring Pastoral Compensation. The first is written to and for pastors. The second is written to and for churches. If either I or our church had read these books ten years ago, the situation I just described would have never happened. However, the old saying is true - you don't know what you don't know. I didn't know enough to ask the right question so that I could understand how my pastoral compensation would actually work, and our church didn't know enough to understand that what they had seen elsewhere wouldn't apply to me. We were both flying blind . . . and that was the problem. Northland International University - B.A., 2000. Virginia Beach Theological Seminary - M.Div., 2005. Cheering for the Chicago Bears (mainly crying over them), gardening, listening to music, piddling around the house, writing, and reading about and helping others with personal finance issues. Jamie's chicken-pot-pie . . . or her pepper steak . . . or her roast beef . . . umm . . . that's nearly impossible to narrow down. The one book that God has used in my life many times since my salvation is A.W. Tozer's Pursuit of God. No other book has been such a challenge and encouragement in my life. I accidentally sawed off a quarter inch of my left index finger on a table saw. It could have been worse . . . it could have been the whole finger.